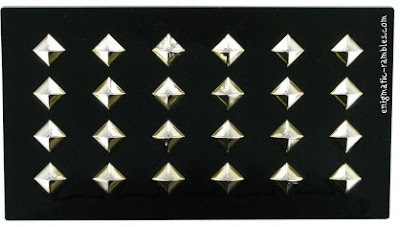 For some reason it has taken a year to get around to writing this review, it is a black palette with silver studs. 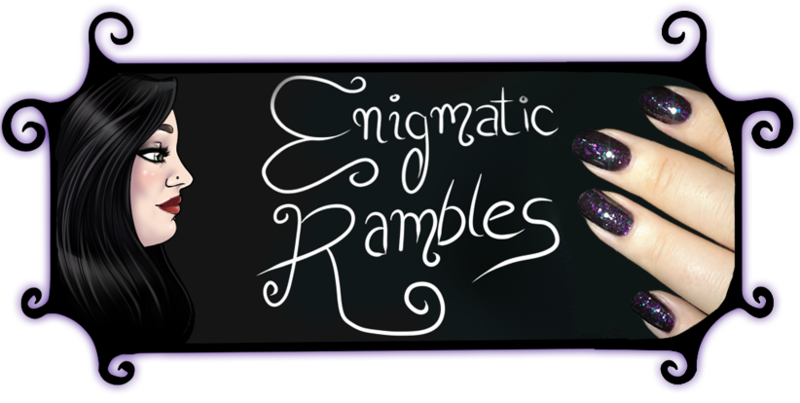 Inside there are ten shadows, six shimmers and four mattes. 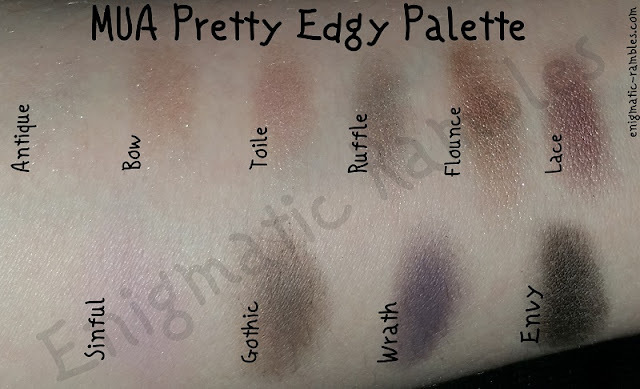 The shadow pans are quite big compared to usual palette ones. The shimmers are all really buttery and smooth. The mattes are easy to work with as well, very slightly powdery. The black shade Envy is build-able rather than being super pigmented which means it is blend-able and easy to build up a smoky eye with. 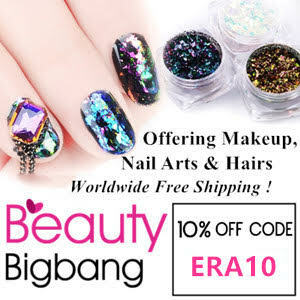 It is also a ash toned black meaning it works well for eyebrows if you have black hair. 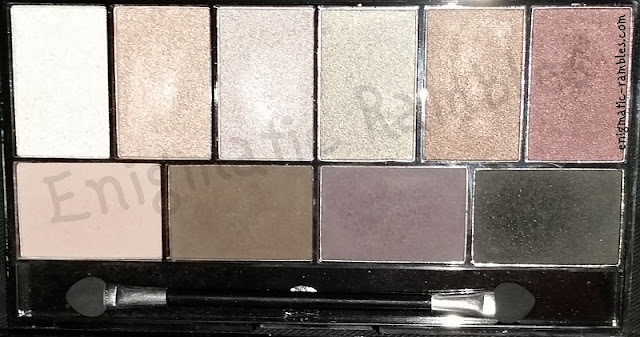 It is a great palette and I really should reach for it more often!